My Grandfather's photograph of Bob Dylan from the pages of Cosmopolitan. DAVID: As soon as I was old enough to hold a camera, I was taught photography by my grandfather, famed photographer Maxwell Frederic Coplan. My grandfather photographed everyone from Bob Dylan to Grace Kelly, Audrey Hepburn to Marilyn Monroe. 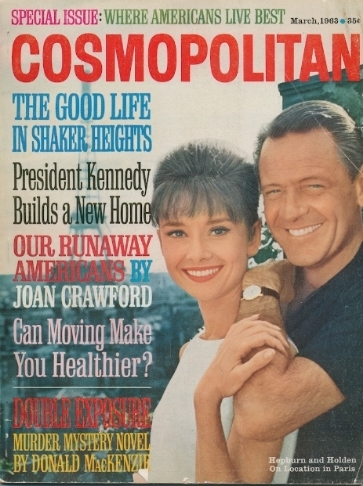 His photos were featured on the covers and pages of every major publication of his day. I’ve studied photography & Film at Emerson & UCLA but nothing compares to the lessons and experience I got from my grandfather. He not only taught me about photography and film, but also how to spot great filmmakers and photographers. After UCLA, I optioned some Screenplays, got in the WGA and worked my way through Hollywood trying to set up movies I wanted to Direct. While doing a photography & film job back in NY, I met Danielle, and on a whim started what would become Dideo Films Photography. 7 years & 500+ weddings later - Dideo Films Photography has transformed into a team of the best photographers & cinematographers in the area. DANIELLE: Office Manager, Editor and Bridal Consultant, Danielle is always thinking of the most efficient and creative ways to make a wedding day special and unique. With a background in Marketing & Advertising from Cornell and NYU, Danielle overseas all things related to Dideo Films Photography. DENIS: A photographers photographer, Denis is always on the look out for unique angles and distinct ways to tell the story of the day. His style is a mix of unaffected off camera lighting techniques and wedding photojournalism. MICHAEL: A wizard with a Steadicam, when Michael is not shooting Cinematic Weddings, he can be found working on music videos, Indie Films and Corporate projects. VLAD: Shooting in a creative mix of editorial, fine art and photojournalistic styles, Vlad is always smiling. A true storyteller, Vlad is great at capturing the gamut of emotions that encompass the wedding day. He often works with 20-something son (who doubles as a lighting assistant and 2nd Photographer). DAN: A wedding photographer for over twenty years. Dan has shot over 900 weddings and a nice mix of Rockstars and Celebs. With a personality that puts any Bridal party at ease, Dan has a true love for capturing weddings. EDISON: A visual artist first and foremost. Edison is both a photographer & cinematographer. A fan of telephoto lenses, Edison works in an unobtrusive style. He prides himself on hard work and creating classic images. 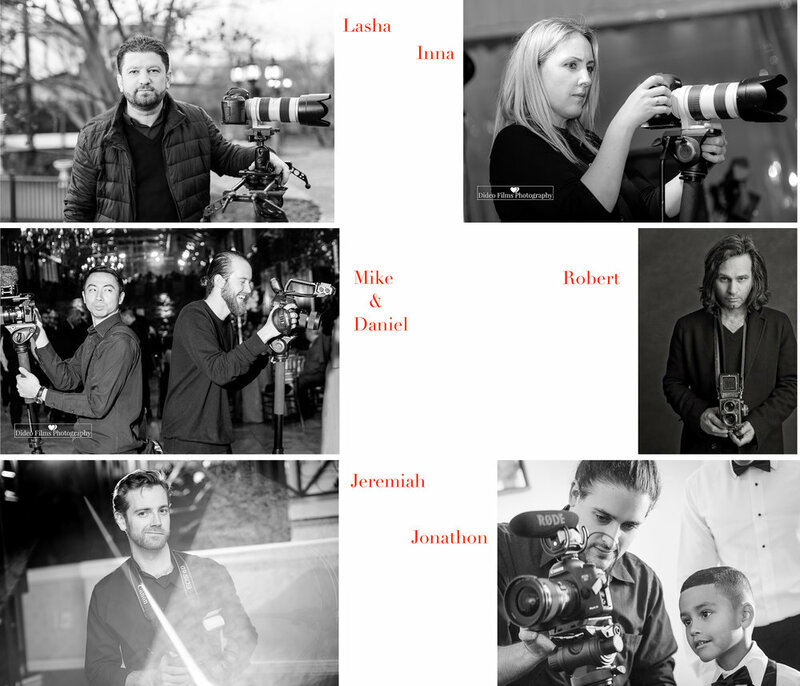 LASHA: A veteran of the tri-state area cinematography scene, Lasha mixes documentary style with Hollywood stabilizer effects to create classic images. INNA: A Cinematographer with an Editor's eye. Inna favors telephoto lenses and smooth dolly shots. Together Lasha & Inna make for an awesome husband & wife cinematic duo. MIKE: Self taught. Mike mixes music video and photojournalistic style, to create classic wedding footage. DANIEL: From Kentucky to NYC, Daniel mixes visceral and cinematic styles to craft unique wedding imagery. ROBERT: His artistic eye and knack for bringing out the personalities of his subjects has made Robert an in demand portrait and wedding photographer. JONATHAN: A fan of Cinema Verite, Jonathon blends smooth slider shots with a naturalistic documentary techinques. CHRIS: NYC by way of Pittsburgh & Phillie, Chris mixes Documentary and Fine Art style to create a look all of his own. A Fan of free lensing and prism shots, Chris handles a C100 or 200 like it's an extension of his body. CARI: Jersey via Brazil, Cari is always on the lookout for special personal moments. Mixing Photojournalism with honed Indie skills, Cari has knack for being in the right place at the right time. GINA: A Westchester, NY native, Gina specializes in portrait photography & photojournalism. She has a keen eye for capturing special moments, whether working with natural light, fill light or a full portrait lighting set up, Gina style mixes candid moments with directed action. SAM: Having photographed hundreds of events, corporate galas, award ceremonies, fundraisers and weddings large and small. Sam has also worked with fashion photographers like Anthony Barboza, Jeffrey Scales, Mario Testino and Frank Ockenfelds, as well as photographing artists, authors and musicians for Atlantic Records, Sony Music and the New York Times.